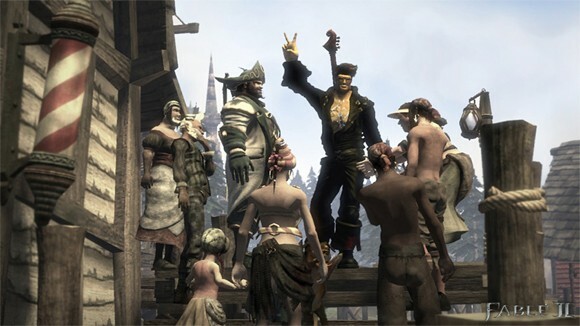 This week's Xbox Live Deal of the Week for Gold Members only is the Fable 2 Knothole Island expansion pack. The DLC pack is 30%, which knocks its 800 price down to 560 . If you read our impressions of the DLC a while back, you know we were pretty happy with what we got for our $10! Knothole Island contains three new quests revolving around the weather of Knothole Island. Players can unlock new and unique items, including an Assault Rifle from Halo. Yes...and assault rifle. The DLC deal comes at a pretty good time as the New York times just confirmed that Fable 3 is in development, again, thanks to a wedding announcement. You can't make this stuff up.